PUTRAJAYA (Dec 6): Ex-PM Datuk Seri Najib Tun Razak (pictured) has arrived at the Malaysian Anti-Corruption Commission (MACC) HQ at about 10.30am today. Reports have said that he is supposed to provide statement to the MACC about the alleged tampering of the Auditor-General’s 1MDB final audit report. On Nov 25, Auditor-General Tan Sri Dr Madinah Mohamad revealed the final report on 1MDB's audit was tampered with and Najib knew about the matter, reported Bernama. Madinah also revealed that two important points dropped in the report were the presence of businessmen who were hired by Low Taek Jho or Jho Low at a 1MDB Board meeting and 1MDB's financial status. Yesterday, former Auditor-General Tan Sri Ambrin Buang spent more than seven hours at the MACC HQ here to give a statement. Besides Ambrin, also called to give a statement yesterday regarding the same matter was former MACC chief commissioner Tan Sri Dzulkifli Ahmad. 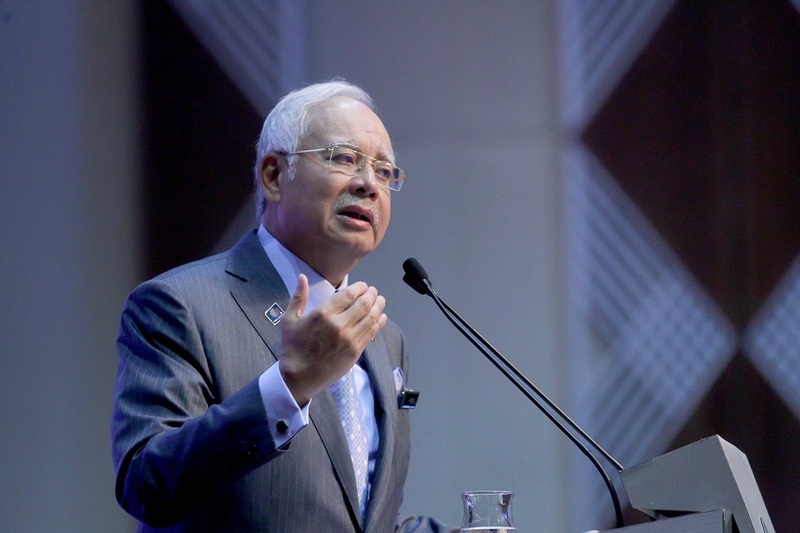 The New Straits Times reported that the graftbusters were “still in the process of recording statements from all the individuals involved in the 1MDB final audit report”. Sources told the daily that people called up since last week included former chief secretary to the government Tan Sri Dr Ali Hamsa, 1MDB chief executive officer Arul Kanda Kandasamy, Dzulkifli, and officers from the Finance Ministry and National Audit Department.